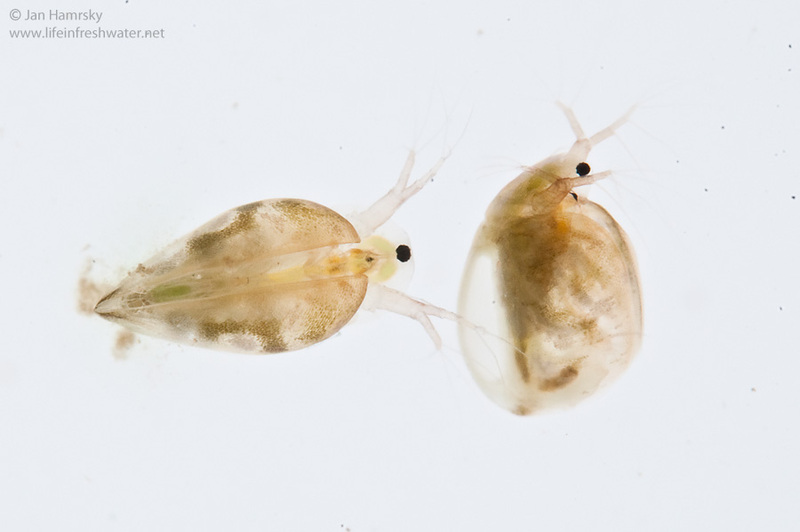 Water fleas use specialized appendages to filter algae, bacteria and small organic particles. 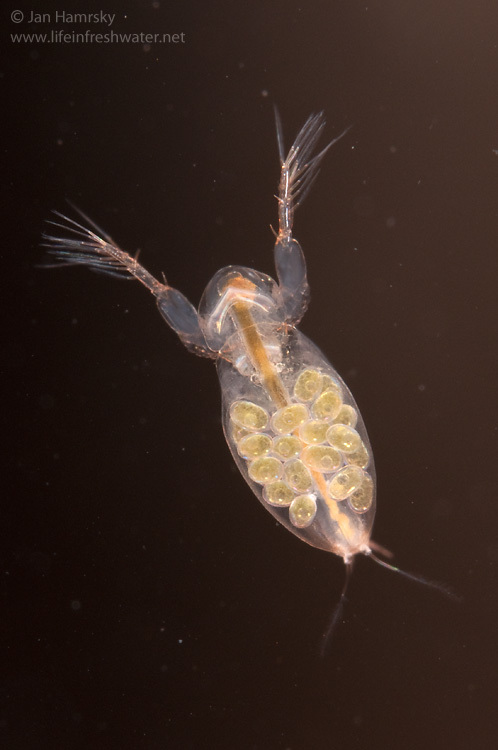 Cladocerans are common and abundant in large variety of still water habitats. 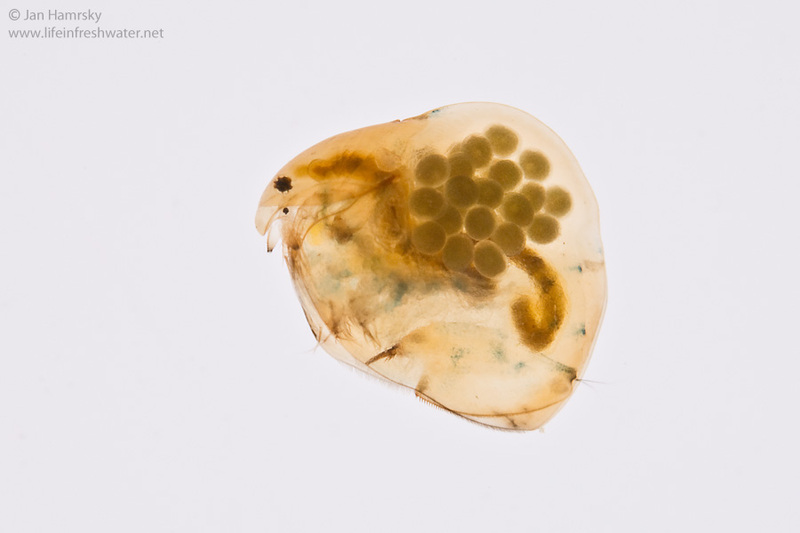 They often live in temporary ponds and survive dry periods as very resistant and long-lasting eggs. 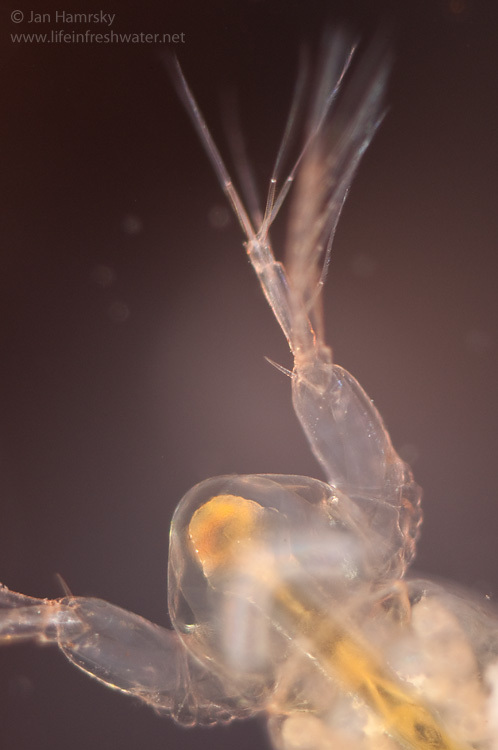 Cladocerans use large branched antennae to push them through the water. 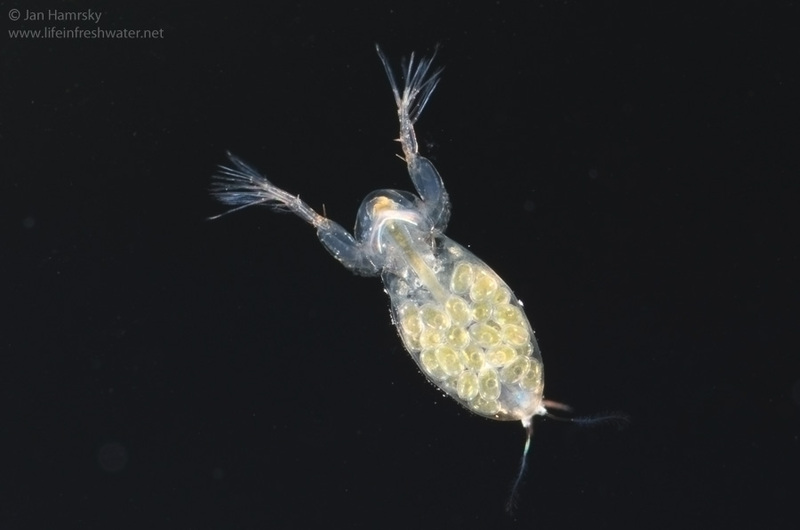 Common name water flea comes from this jerky movement. 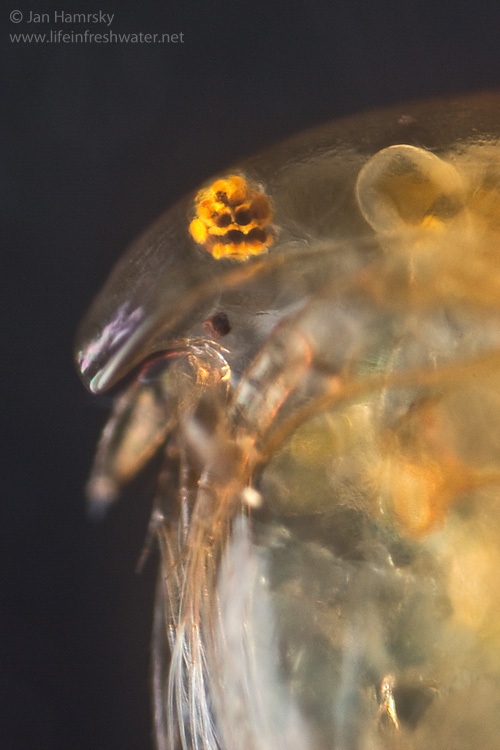 Some species can grow up to sizes around 5 mm, although most cladocerans rarely exceed 3 mm. 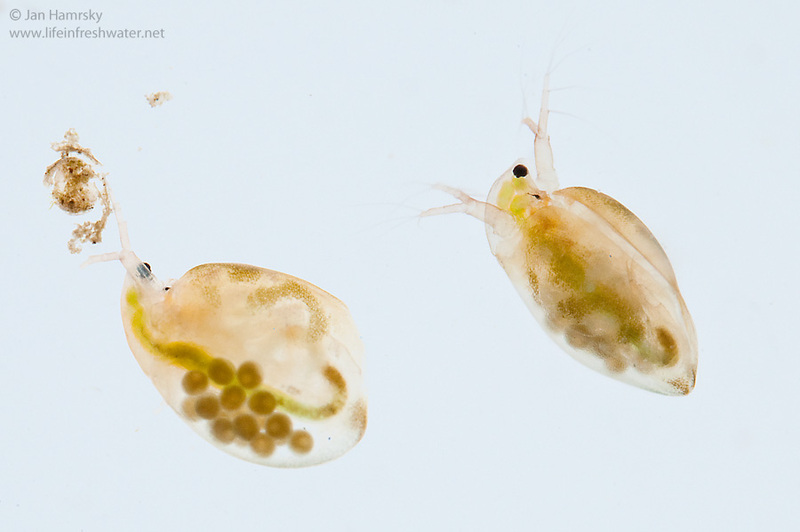 The life cycle of cladocerans is dominated by asexual reproduction, occasionally supplemented by sexual reproduction (resulting in dormant eggs). 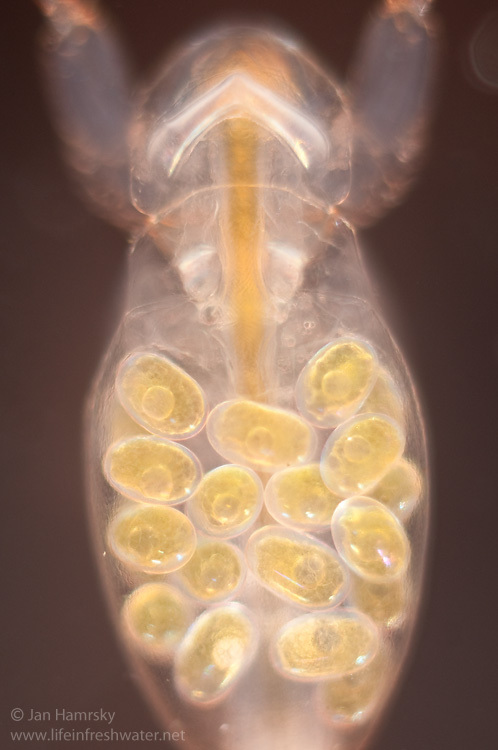 Hatched young are barely visible dots moving in the water. 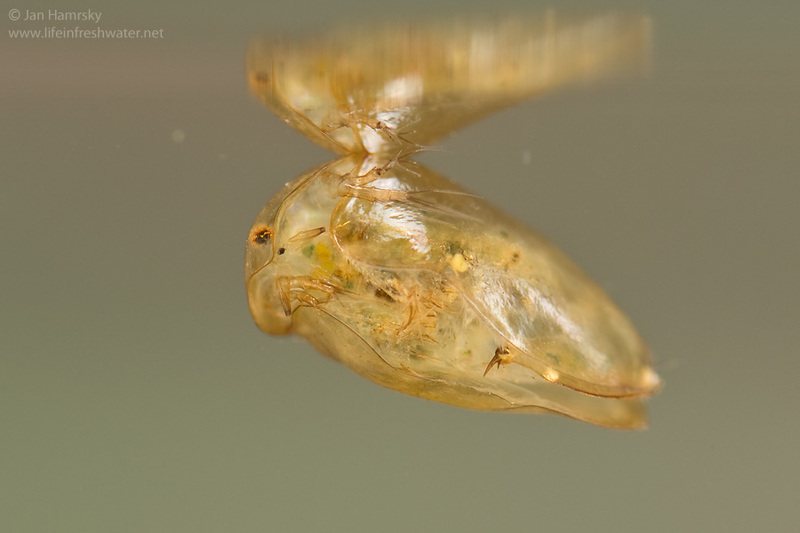 They undergo several molts to reach an adult capable of reproduction. 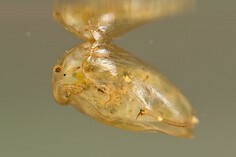 Most of the adulthood, females produce brood of eggs every time they molt.